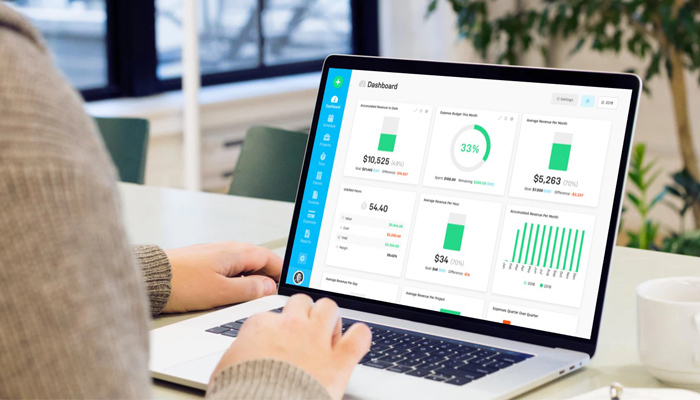 Until now Harpoon has focused solely on your income, helping you to track and meet your revenue goals. 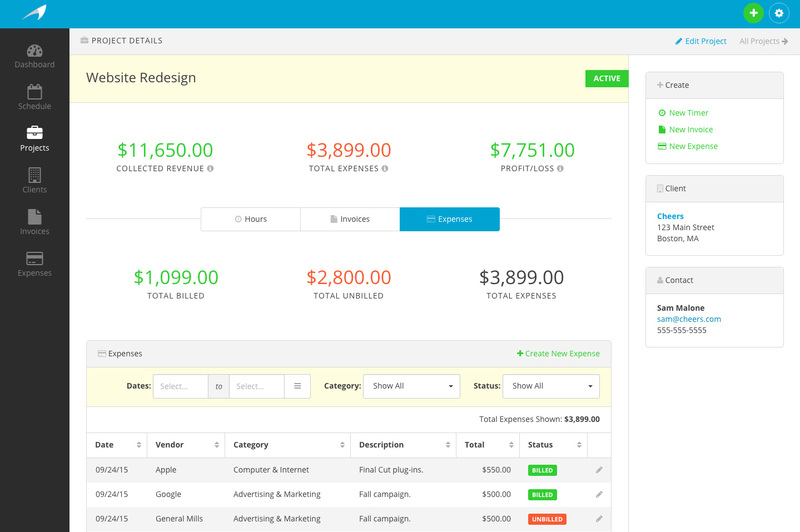 But starting today we’re adding a new dimension to the product with the introduction of expense tracking. Let’s take a closer look. Every expense your business takes on can now be recorded in Harpoon. There are two places in the product where expenses can be managed: on the new dedicated Expenses screen, and the new Project Expenses tab. In your main sidebar navigation you’ll find a new Expenses link which leads to a screen dedicated to managing your expenses. 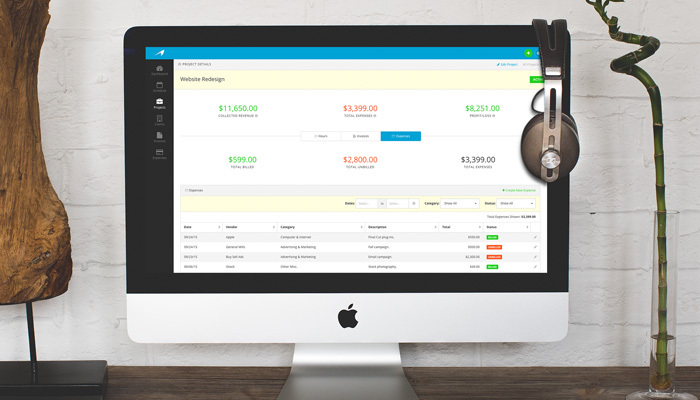 Any type of expense your business incurs can be recorded, categorized, and described on this screen. Powerful filters allow you to narrow your focus to a specific range of expenses. Need to know how much you spent on advertising and marketing last month? Or how much you spent on contractors for a specific client in July? That type of data is just a few clicks away. Besides tracking expenses on a global level, Harpoon also enables you to associate any expense with any project. You’ll find a new Expenses tab on every project’s Project Details screen. Here you can record and track all the expenses that are directly associated with the project. Any expense that’s assigned to a project can also be easily added to an invoice. 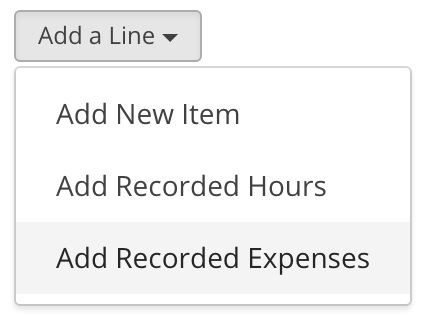 When creating an invoice for a project you’ll now find a new “Add Recorded Expenses” option in the “Add a Line” menu. Selecting this option triggers an overlay which lists all of your unbilled, recorded expenses for the invoice’s project. You can select one or more line items in the overlay, hit “Add”, and your recorded expenses appear as line items on your invoice, neatly formatted with the date, vendor, and description for each item. 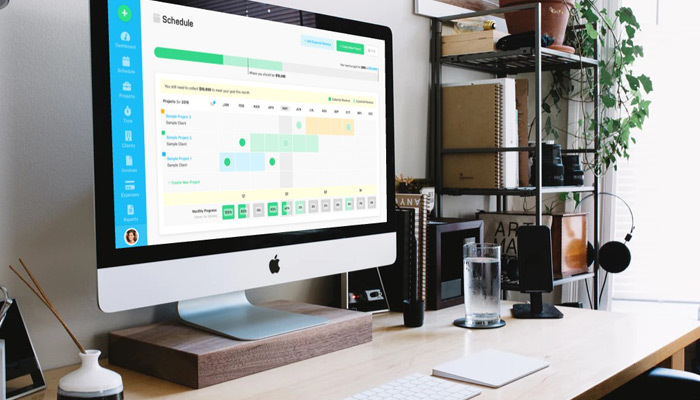 Harpoon then automatically tracks which recorded expenses have been added to invoices by giving those expenses a status of “Billed” on your Project Details screen. It’s an easy way to see at a glance which expenses you’ve already billed for vs. which expenses remain unbilled. We’ve also surfaced some new financial data for your projects. 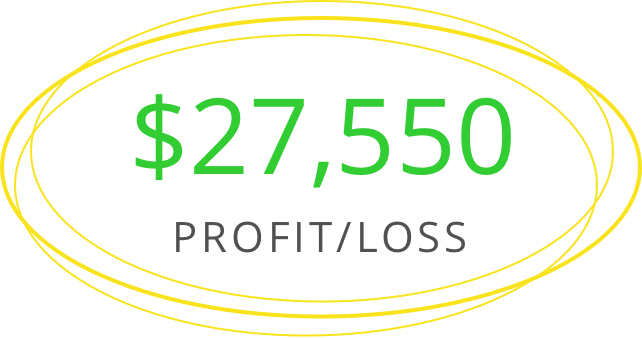 Since Harpoon now knows the total expenses you’re incurring on each project, as well as the total revenue your collecting for each project, we can now surface your actual profit/loss on a per project basis. You’ll now know exactly how profitable a project was and if needed, can make adjustments to similar projects in the future. There’s more to come. Recording your expenses opens up a new layer of financial data Harpoon is able to provide. We’re working on new Dashboard widgets and some other surprises that make use of the Expenses feature. 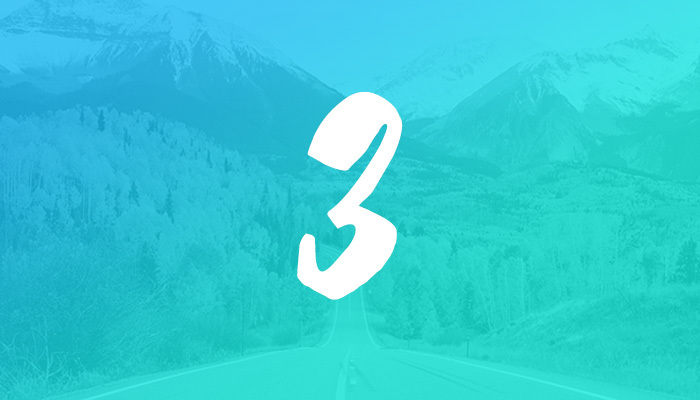 But until then we hope you enjoy this first release of tracking your expenses in Harpoon!